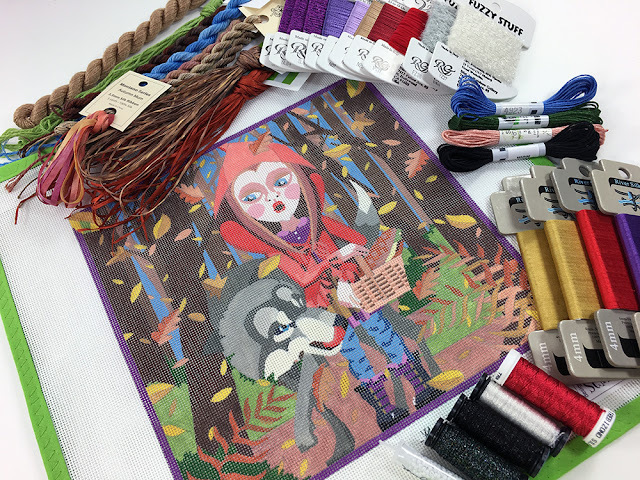 Little Red Riding Hood is one of a series of fairytale canvases in our line. I love that Red is wearing jeans and boots. Little Red Riding Hood has a guide written by Julia Snyder and myself. Look at all those yummy threads. Red would love to come live with you. You can order her here or give us a call at 410.296.0405. « Previous: He can fly!